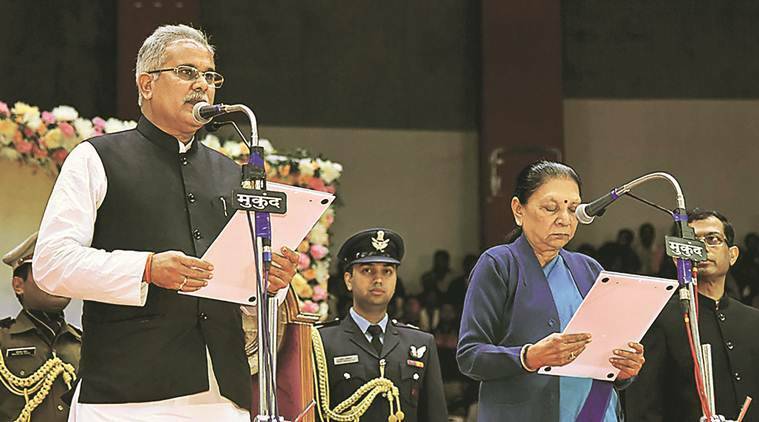 Chhattisgarh CM race LIVE UPDATES: Congress named Bhupesh Baghel as the new chief minister of Chhattisgarh in a Congress Legislature Party meeting Sunday. The Congress Sunday announced Bhupesh Baghel as the chief minister of Chhattisgarh in a legislative meeting of the party in Raipur. 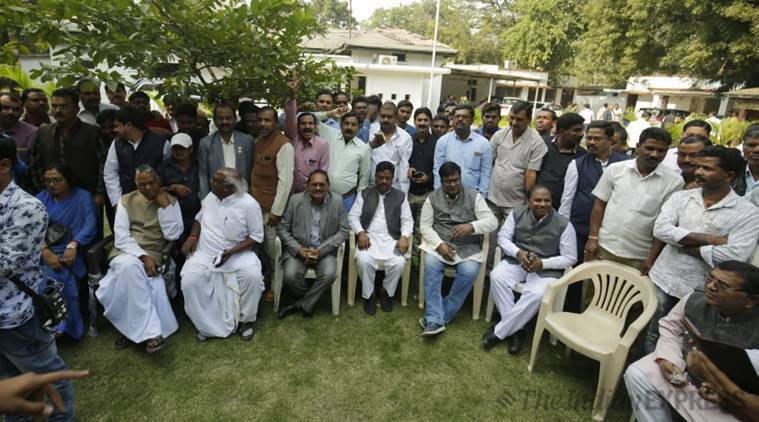 Party leaders, including, Mallikarjun Kharge, PL Punia, TS Singhdeo, were present for the meeting. The announcement comes a day after Congress chief Rahul Gandhi held several rounds of meetings with top party leaders in Chhattisgarh. In the third round of discussions, Rahul Gandhi Saturday met the four contenders for the top post — T S Singh Deo, Tamradhwaj Sahu, Bhupesh Baghel and Charan Das Mahant — at his Tughlaq Lane residence in the national capital. 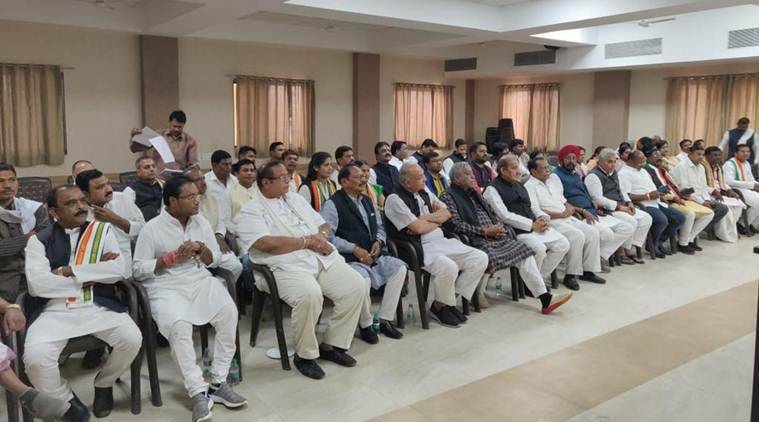 UPA chairperson Sonia Gandhi, daughter Priyanka, Congress’ central observer Mallikarjun Kharge and AICC in-charge for party affairs in the state P L Punia were also present at the meeting. The Congress comfortably secured a majority in the Chhattisgarh Assembly after winning 68 seats in the 90-member House. The BJP saw a major dent in its vote bank, winning just 15 seats in the Assembly. Congress appoints Bhupesh Baghel as Chhattisgarh CM. Follow LIVE UPDATES below. On the issue of Naxalism plaguing Chhattisgarh, Baghel said, "The problem of Naxalism is a very serious problem. Nobody can solve it instantly. They have a very strong hold. We will be successful in eliminating them if firm steps are taken with the support of the people in the Naxal-affected areas." "Decision for the appointment of deputy CM and state Cabinet will be taken after I take oath tomorrow. Many national leaders, including Rahul Gandhi and CM of several states are expected to be present for the oath-taking ceremony," said Chhattisgarh CM-designate Bhupesh Baghel to ANI. "Oath-taking ceremony will be held in Raipur tomorrow for only the Chhattisgarh Chief Minister. Decision on rest of the cabinet will be taken later," said Mallikarjun Kharge All India Congress Committee's observer for Chhattisgarh. Bhupesh Baghel was appointed as the chief minister of Chhattisgarh on Sunday after lengthy deliberations between Congress president Rahul Gandhi and leaders from the state. An MLA from Patan, Baghel is also the state chief of the Congress party and is credited for bringing the party back to power after 15 years in oblivion. 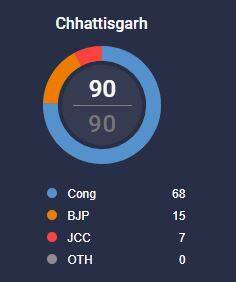 The Congress won 68 out of 90 assembly seats in Chhattisgarh to dethrone former BJP CM Raman Singh. The party wil make the official announcement of the name to media shortly. The Congress Legislative Party meet begins with the senior leaders in presence. The official announcement of Chief Minister will be made in front of the media soon. 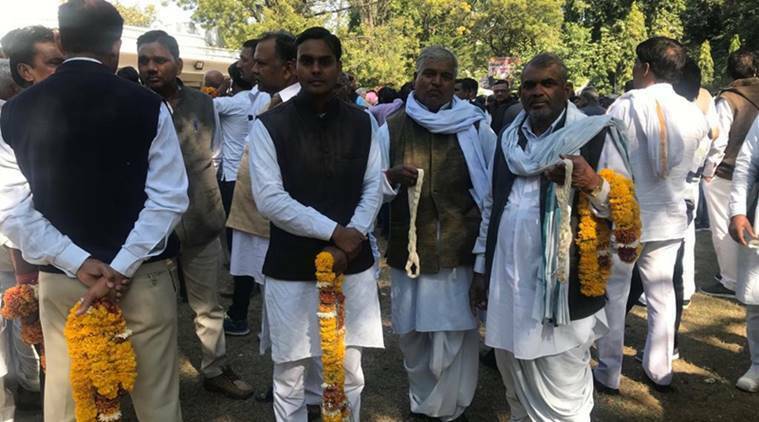 According to sources, the party leadership initially leaned towards Durg MP and CWC member Sahu, but faced stiff resistance from state Congress chief Baghel and former CLP leader Singhdeo. 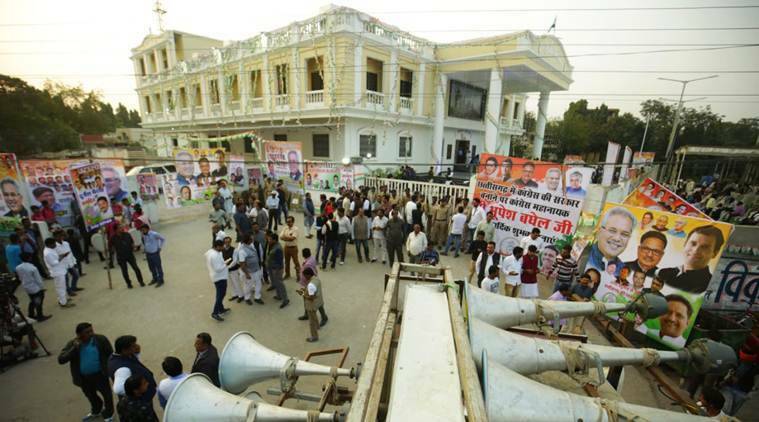 Congress, Sunday, will hold a legislature meet in Raipur. The new chief minister of the state is likely to be announced then. 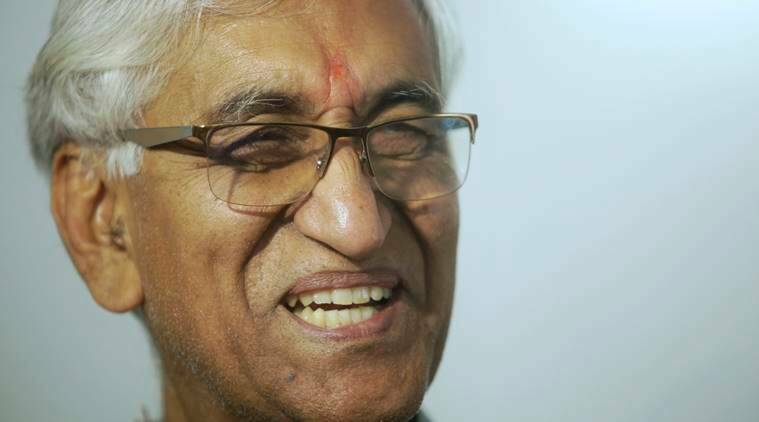 Four contenders for the top post — T S Singh Deo, Tamradhwaj Sahu, Bhupesh Baghel and Charan Das Mahant — had met chief Rahul Gandhi in New Delhi on Saturday. Speculations and deliberations continued within the Chhattisgarh Congress today as the party high command postponed the announcement on the chief minister. The decision is likely to be taken on Sunday. Despite holding three rounds of discussion, the party will take the final call on the top post after holding another round of talks with the legislatures tomorrow. Read full story here. According to sources, discussions are underway on whether Baghel and Deo can lead the CM's post for two-and-a-half-years each. The Congress leaders have returned to Sonia's residence; a meeting of the legislators will be held tomorrow. According to sources, the decision is likely to be taken tomorrow. According to sources, Sahu was nearly chosen as the CM. However, others were not convinced and returned Rahul Gandhi's residence. The meeting between Rahul Gandhi, Sonia Gandhi and the senior Congress leaders has ended. However, there is no clarity on the final name for the post of CM. The leaders are now scheduled to fly to Raipur where a decision is likely to be announced. The expectations are high for an announcement for CM post as the names of Rajasthan and Madhya Pradesh CMs were also announced by Congress in a similar fashion, wherein, the contenders met Rahul Gandhi held discussions before a formal announcement. The observer for Chhattisgarh Mallikarjun Kharge and Congress Chhattisgarh In-Charge PL Punia have reached Rahul Gandhi's residence. The final name for CM post is expected to be announced today. 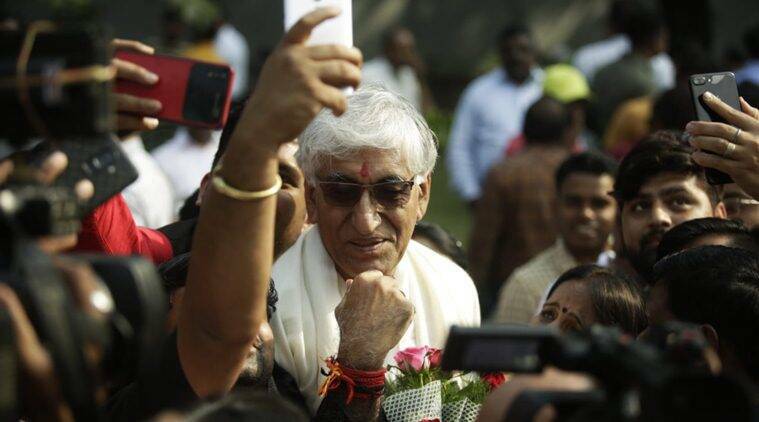 TS Singh Deo says we have more than 1 eligible name that is why the process is taking time, in any case, final result came late on 11th so it has just been 4 days today. BJP which took more than 7-8 days to appoint its recent CMs should not comment on us. Plus: He is seen as a dark horse. Many in the party believe he has the potential to inflict maximum damage on the BJP during the Lok Sabha elections. He comes from the Sahu (OBC) community, and was recently inducted into the Congress Working Committee and also made the head of the OBC department. He is the only Congress leader in Chhattisgarh who was elected to the Lok Sabha in 2014. Minus: He has never leveraged his caste to expand his clout. He is not seen as aggressive. 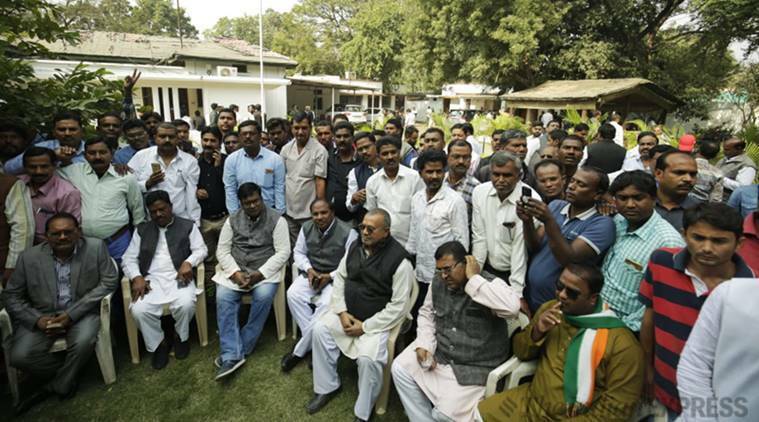 While Baghel and Singh Deo served as state Congress president and Leader of the Opposition respectively, Sahu’s support among MLAs appears limited. Plus: Combative and aggressive, he has led the party after almost the entire Congress leadership was killed in a Maoist attack in 2013. He took on the entrenched Ajit Jogi, which finally resulted in Jogi’s exit. Elevating him could send a signal to his influential Kurmi community and other backward groups ahead of the Lok Sabha elections. Minus: He has faced controversies. Some leaders claim he is not accommodative. Rivals say that he has the ability to hobble the Congress if denied the CM’s chair. Who is T S Singh Deo? Plus: Suave and soft-spoken, he belongs to the royal family of Surguja. Many see in him a potentially good administrator who understands the complexities of governance. The architect of the Janghoshna Patra campaign, he put together the party’s manifesto after meeting people from the ground across the state. Minus: His lineage may given the Opposition a handle to hurl charges. He is one of the richest MLAs in a poor state. Bhupesh Baghel, T S Singh Deo, Tamradhwaj Sahu, and Charan Das Mahant are the top four contenders for the post of the chief minister in the state. All these leaders hold their own vote base and popularity among various pockets of Chhattisgarh and have helped to shape the party in the last 15 years. Congress secured a majority on its own in the recently concluded assembly elections. The party won 68 seats in the 90-member assembly comfortably crossing the halfway mark of 45. Meanwhile, BJP saw a major dent in its vote bank shrinking to just 15 seats in the assembly. The newly-elected MLAs are expected to meet in Raipur at 10 am ahead of the official announcement. The top four contenders had met Congress President Rahul Gandhi in New Delhi on Friday. Gandhi held a meeting with the party's central observer for Chhattisgarh Mallikarjun Kharge. AICC in-charge of party affairs in Chhattisgarh P L Punia was also present in the meeting. Good Morning, Welcome to The Indian Express LIVE Blog as the race for the chief minister of Chhattisgarh becomes tight, we track the developments through the day. The front-runners in the race of chief minister are Bhupesh Baghel and T S Singh Deo. Combative and aggressive, Baghel has led the party after almost the entire state Congress leadership was killed in a Maoist attack in 2013. He took on the entrenched Ajit Jogi, which finally resulted in Jogi’s exit. “We have given the authority to the high command to decide the name (of the CM); whatever they decide, we'll go by it,” Baghel said. Suave and soft-spoken, Deo belongs to the royal family of Surguja. Many see in him a potentially good administrator who understands the complexities of governance. The architect of the Janghoshna Patra campaign, he put together the party’s manifesto after meeting people from the ground across the state. Deo said, "I want that Congress deliver the priorities it had set for Chhattisgarh as soon as possible. Rahul Gandhi ji had assured that loans will be waived off within 10 days of government formation."